Yahoo Inc is acquiring blogging service Tumblr for $1.1 billion cash. The deal will use about 1/5 of Yahoo’s $5.4 billion in cash and marketable securities. 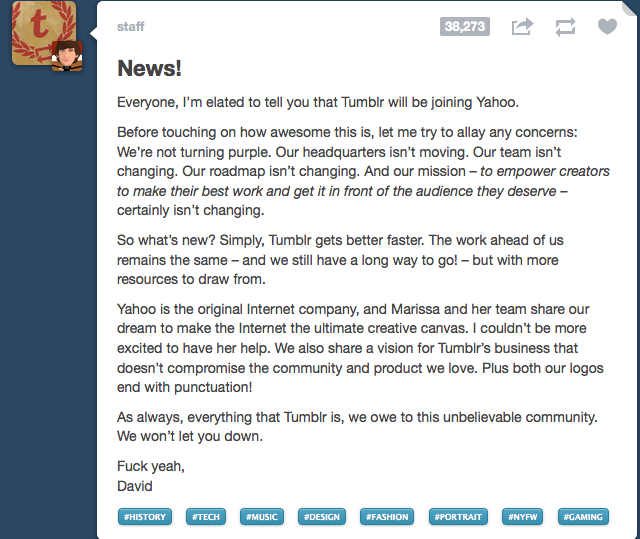 “Per the agreement and our promise not to screw it up, Tumblr will be independently operated as a separate business,” Yahoo said in a statement on Monday. 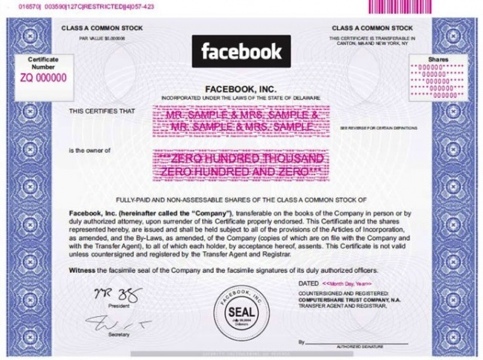 The image of a Facebook stock certificate was included in the amended S-1 Facebook filed today with the SEC. It’s sure to become a collectors item for people who collect historic stock certificates. 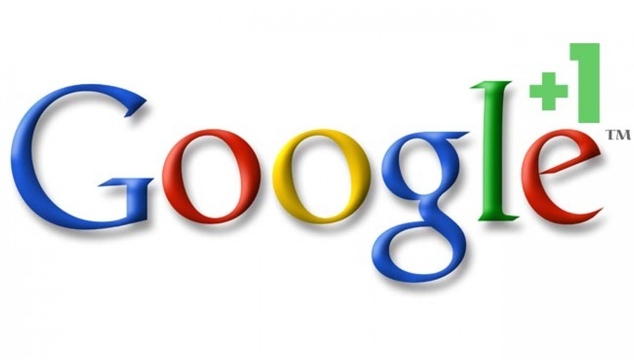 Checkout other popular stock certificates from Google, Apple, and Yahoo below.